Find the camps you wish to sign up for (camps are listed in order by date). Select a session time (morning, afternoon, morning+afternoon, or evening). Select the "Add Registration" button. Select your cart to complete the checkout process (cart will appear at the top of the page). After your checkout is complete you will receive registration forms from the HAK team via email. The one time you want your kids to play fortnite. Break open that controller! Mod it! See if you can play in our dizzy mode. Then learn how competitive gamers use engineering to control everything from reflexes to heart rate. In this camp we’ll focus on how to create working robots and how machines work to help assist day to day operations. We’ll be using First Lego League Equipment to make our own functioning creations and later Vex Robotics to further our growth. In this class our students will learn how to control LED Lights with micro controllers to mix fashion with technology! From light-up headwear to gloves that glow in the dark, see how we can infuse technology with the world of fashion! No really, build a cell phone while understanding the technology in the tool used by everyone around the world. Light responsive speakers? control music with your hands? create a new snapchat filter? Learn how all of these are doable in this summer camp. Ever come across a problem and think "There should be an app for that?". Now you have the chance to build your own app. Learn how designers create million dollar ideas 1 line of code at a time. 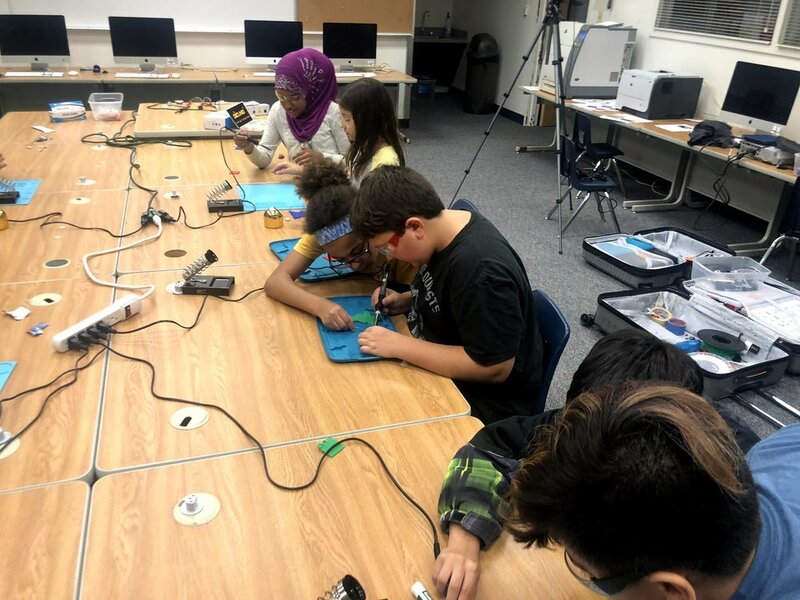 In this class, we'll learn about how to operate a 3D printer and make a few creations along the way that you can take home! Or submit a question below.